Like the social network itself, Facebook Messenger is incredibly popular. Yesterday, the service passed another milestone: 1.2 billion monthly active users (MAUs). 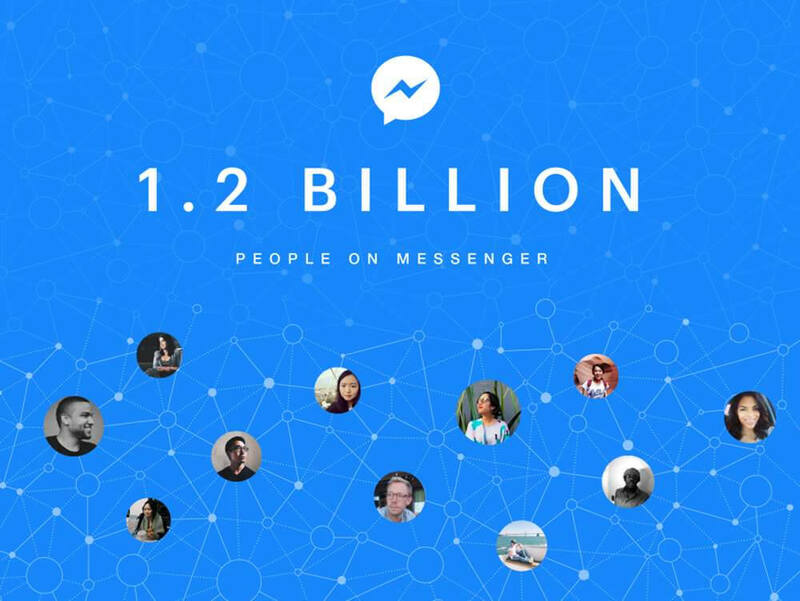 The figure marks an increase of 200 million users over the last eight months and means Messenger now has a similar number of MAUs as WhatsApp, which Facebook also owns. "I keep on hearing powerful stories about how our product is becoming a more important part of your daily lives," wrote David Marcus, head of Messaging products at Facebook, in an FB post. "So from all of us here at Messenger, a heartfelt thank you to all of you for giving us a chance to build something good and more meaningful for you." Speaking to TechCrunch, Marcus said the chat app had become the “primary communications channel” for many users. The site also notes that iOS and Android downloads of the app are up 5.66 percent from 145.3 million in Q1 2016 to 153.5M in Q1 2017. In recent times, Messenger has become much more than an SMS replacement. It now boasts peer-to-peer mobile payments (and group payments), Instant Games, polls, reactions and mentions, new camera features, group video chats, bots, and more. With Messenger continuing to grow – it now has twice as many users as Instagram – the next step could be the appearance of more ads, which are already being tested on select users in Thailand and Australia. Last year, Facebook introduced sponsored messages to its chat service, but companies could only send messages to users who initiated a conversation. These are different from the ads currently being tested overseas, which appear on Messenger's home screen.